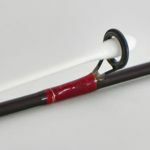 Berkley FireLine Ultra 8: Impressive! 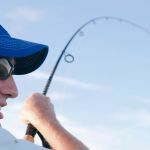 Do You Have What It Takes To Be A Pro Angler? Find The Winning Spot, Then Stay On It. Have you Tried the "Ned Rig"
Northern Lake Oahe. First class fishing. Hospitality second to none. 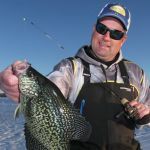 Tips for more winter fishing success! Big summer bass on the flats! Is Your Ride Rigged and Ready for Results? So Ya Want a New Boat? Crank a Flat, Catch a Walleye! "Hey Culligan Man! ", Soft Water Makes Kayak Anglers Happy Too! 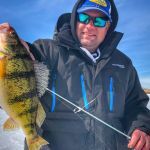 Kalin's Lunker Grubs - My Top Door County Smallie Presentation! 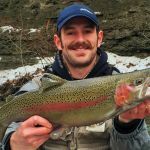 Spring Steelhead Fishing: Tactics and Techniques for Catching Chromers! There's Still Lots of Time For Fishing! Put More Fish On The Ice! Why Fish in the Fall? 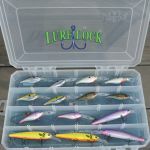 What’s in your tackle box? What Happened to the Peacock Bass? Get Ready For The Best Ice-Fishing of the Season! Fall Bluegills, good enough to eat! 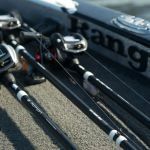 Don’t Put That Rig Away Yet…There Are BIG Muskies In Kentucky!!! Remember when we went . . . . The Shortest Fishing Trip EVER! Whatever you do – Don’t wait. Get out there Girls and Fish! 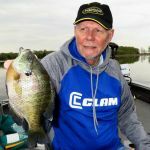 Leave the bacon in the frig - time to fish with Kirk! New Lake: Where to go? Fishing with one of America's Finest! Northern Wisconsin Ice Fishing Angler's Get Ready! Fall Musky Progressions "Part 2"
Fall Musky Progressions "Part 1"
Late Summer Walleye's on Little Bay de Noc! 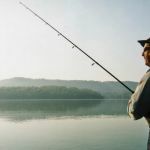 When's the best time to go fishing? 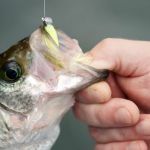 Live Bait Hooking Options - Which Way is Best? Which hand do you use? Erie not just a "Great Lake" but great fishing! No Worms In This Boat! When Far and Fine meet Big & Mighty! The Best Fishing Of The Year? Spring Time "Boards and Brown Trout" Action! 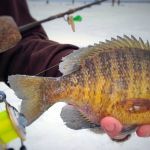 Ice Fishing tips - Two that will prepare you for success! Fish Fast, Fish Comfortable then Fish FRABILL (and Walleye's)! Start an 'Outdoor Journal' now! Cranking and Pausing For Fall Walleye! Get Ready... It's Almost That Time Again! Reminding an Old Dog of Some Old Tricks! The "Hot Summer August Eye's" of Bay's De Noc! Sure it's a funny name but You will like the results! Water, Water, and More Water! BASSIN’ Action on the Bay’s de Noc! Fishing in Chicago? You might be surprised! 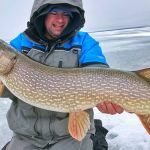 Pre-Spawn Northern Pike - Late Ice or Open Water? Winter Safety, What You Don't Know Can Kill YOU! Too Cold For Muskies? NEVER! Hey, I've got an idea!! Unique Products That Really Work!